HANOI, March 28 (Xinhua) -- Retired government officials will not be allowed to found, own or run private companies in areas under the jurisdiction and management of their former posts for at least six months after retirement, local media reported on Thursday. 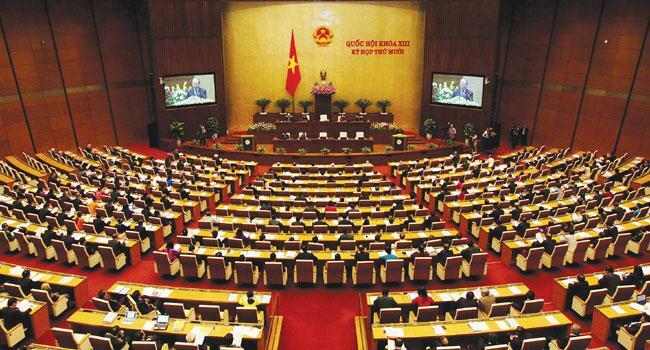 The new regulation is included in a draft government decree on guiding the implementation of the amended Anti-Corruption Law which was approved by Vietnam's top legislature last year, daily newspaper Vietnam News reported. Stricter regulations on gifting and receiving gifts were introduced in the country's new anti-corruption law, under which public assets can only be gifted for charity purposes, or as part of a compensation program for high-ranking public servants and families of revolutionaries. Such activities will be under the supervision and regulation of the Ministry of Finance. Public servants who received gifts are required to return or report within five days to their respective office if returning them is not feasible. In 2018, Vietnam's Central Steering Committee on Anti-Corruption concluded the investigations into 23 cases with 222 suspects, and started proceedings on 20 cases with 251 individuals, Vietnam News Agency reported. In particular, 10 major corruption cases drawing the special attention of the public were brought to court.